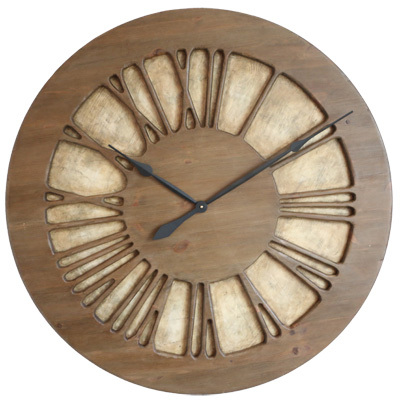 The Papyrus is a Centrepiece Wall Clock that is handmade from two large panels of sustainably sourced pine wood. 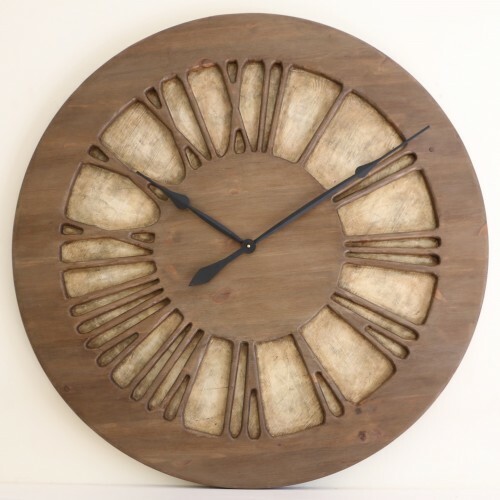 The clock face is displaying hand carved Roman Numerals on hand painted background. 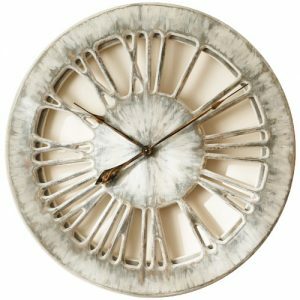 With a total diameter of 75-120 cm and its artistic look, Papyrus is not just a clock but an original and eccentric piece of wall art. 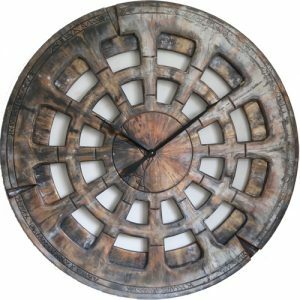 The “Classic Papyrus” is a massive centrepiece wall clock that will wow all of your guests and add so much character to your living room. 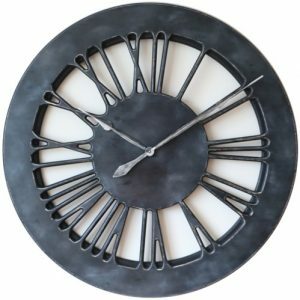 It is not just another extra large timepiece but the most sophisticated and one of its kind three dimensional element of wall decor. If you are looking for something different than ordinary then you are in the right place. Nobody else in he World is making the clocks of this size with so much charisma. The clock comes with a C Cell battery and we have detached both hands to avoid any damage in transit. We have prepared a short video which demonstrates how you can set the time and attach the clock hands. If you have any questions don’t hesitate to contact us and we will respond withing 24 hours. As a small Global Family Business we take great pride and care in everything we do and the customer service comes first. 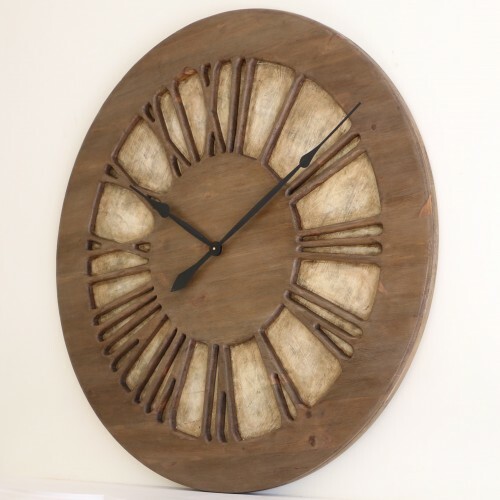 Our large roman numeral clocks are unique, beautiful and expensive pieces. They will come to your mind when you start redecorating your house or building the new extension. You can mount them in your home, office, restaurant or even the most luxurious penthouse apartment. 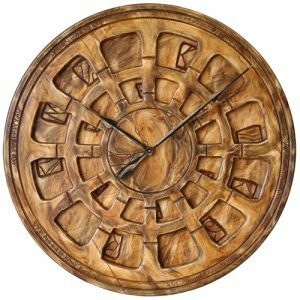 Each stunning battery operated wall clock is made of pine wood which provides unique natural appearance and amazing character. 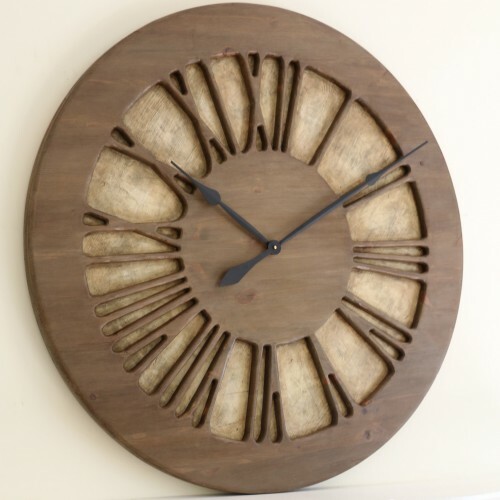 If you search the Internet you will see that 99.9% of extra large wall clocks are cheap factory made imports from China. At Peak Art you will only find the most beautiful, handmade and hand painted products. Our clocks would differentiate your place from the rest of the World. We are the pioneers in this niche market and already gathered thousands of followers in our Facebook Community. Don’t follow the crowd by filling this big empty wall space with pictures or mirrors. Instead, become a member of the exclusive club of connoisseurs. 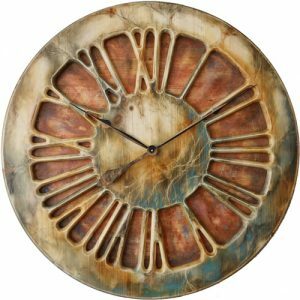 The centrepiece wall clocks are becoming the fashion but only with Peak Art you can find uniqueness in a Global Scale.